Blizzard has released more information regarding the real money auction house that was first announced last summer. The company plans to take a cut of every transaction in the auction house on top of one or more fees to transfer money to a third party service like PayPal. Blizzard will take a 15 percent cut of the final sale price of any commodity like gems, materials and gold in the real money auction house. Furthermore, if you want to transfer that money to a third party service like PayPal, that will cost you another 15 percent. This, of course, isn’t accounting for any fee that PayPal may charge for the transaction. So if you sell something for $100, the best case scenario is that you will only net $70 in your bank account. Users can avoid the 15 percent transfer fee by simply keeping the money in their Battle.net account. This can then be used to buy items in Diablo III or to purchase digital versions of other Blizzard games. Equipment like weapons, armor and accessories are a completely different story. Each item of this nature sold will incur a $1 charge in the real money auction house as well as the same 15 percent cashing out fee. In the gold auction house, expect to pay a 15 percent Blizzard tax on any item sold. For those who were planning to just collect and sell items in the real world auction house full time, think again. Geek.com highlights that there is a $250 balance cap per Battle.net account, meaning that you’d need to transfer money to PayPal each time you reach this limit (with a 15 percent fee, of course). Furthermore, users can only have 10 simultaneous auctions live in the real money auction house and 10 in the gold auction house at any given time for a grand total of 20. 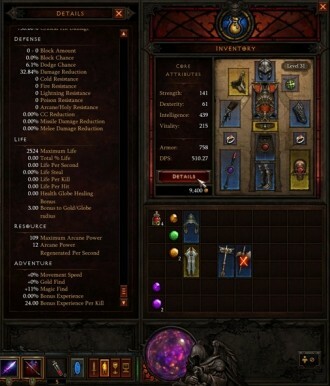 Do you plan to use the auction house in Diablo III or will you be avoiding it altogether?